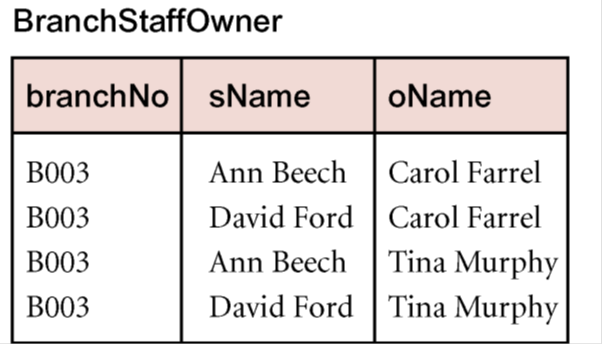 Database/DBMS Interview Questions And Answers - Part XV. A relation must first be in Boyce-Codd Normal Form. A given relation may not contain more than one Multi-valued attribute. 4NF is defined as a relation that is in Boyce-Codd Normal Form and contains no nontrivial multi-valued dependencies. Answer: A relation decomposes into two relations must have the lossless-join property, which ensures that no spurious tuples are generated when relations are reunited through a natural join operation. 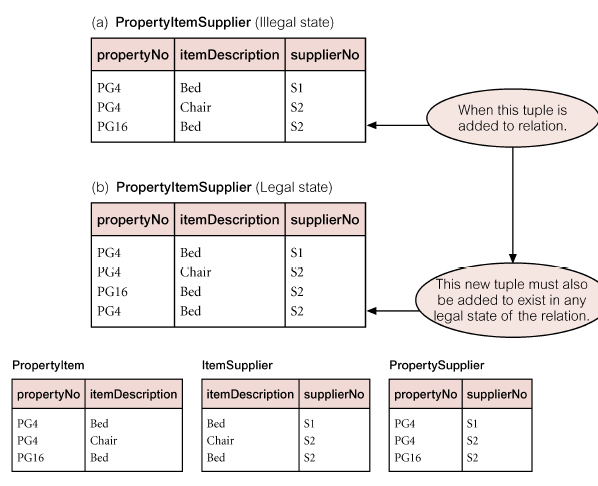 However, there are requirements to decompose a relation into more than two relations. Although rare, these cases are managed by join dependency and fifth normal form (5NF).